In our latest newsletter, we share some information on two upcoming events including our own event in Vigo, Spain. In the northernmost E-LASS & RAMSSES event to date, more than 70 participants traveled to Swedish Lapland in January to discuss maritime lightweight solutions. EUROMECH (European Mechanics Society) is organising an event in Brest in August 2019. Established in 2013, The European network for lightweight applications at sea (E-LASS) gather stakeholders interested in lightweight design for the maritime industry. The aim is to create an organization where exchange of information and knowledge becomes easy and natural. The commitment to initiate collaboration with other networks is in line with this aim. E-LASS has over 300 members from 25 different nations. The need for lightweight materials and lightweight design at sea is driven by the two main societal challenges of today: energy efficiency and environmental stewardship. A lighter vessel will use less fuel and a semi-submersible offshore platform can only fully attain an optimized weight distribution through proper lightweight design. An offshore wind turbine deprived of lightweight design and lightweight materials is scarcely imaginable. For many applications, however, the increased use of novel lightweight designs are being slowed down by tradition and conservative resistance to change, coupled to a lack of experience and knowledge. 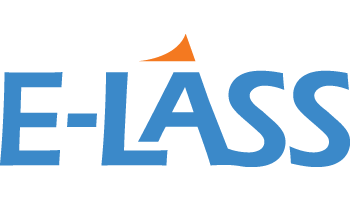 E-LASS aims at facilitating activities in support of necessary development of lightweight design. Just send a mail to Tommy Hertzberg, RISE Research Institutes of Sweden, who is coordinating the network. 3. List of stakeholders interested in lightweight design, through the website.